What made the attractiveness of Vietnam's top-of-the-line check-in destination, dubbed "not go, not yet come to Quy Nhon"? According to Zing.vn, Eo Gio is 20km northeast of Qui Nhon city center, famous scenic spot with pristine beauty. Here you will have beautiful corners and pictures. Eo Gio beach in the village of Bấc (Ly Luong, Nhon Ly, Quy Nhon). The high rocky mountains, winding hugged the beach in clear blue water, forming a beautiful strait inlet. To get here, you pass Thi Nai bridge, to Nhon Hoi crossroad, turn right, go straight about 5 km to the center of Nhon Ly. The beautiful road with two sides of the road are casuarinas and white sand beaches. As soon as you arrive, you can send the car and walk a short distance to. 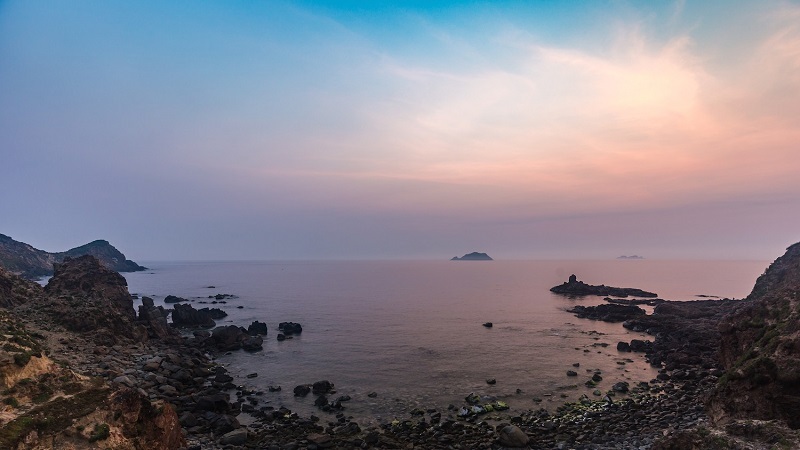 According to VietNamnet, Eo Gio is the farthest and most beautiful destination of the 15 km mountain range that bends itself to embracing the clear blue water, creating a breathtaking stretch of coastline. The beauty of Eo Wind is made of stone and water. Under the hands of creativity, erosion has created a beautiful strait with many unique caves such as Ba Nghé cave, Bat Cave ... Eo Gio also owns the second largest number of Vietnamese oats, after Nha Trang. Watching the white foam wave on the beach, people like to be in harmony with nature, forget all the anxiety, late troubles. Come here at dawn, the new visitors feel the beauty of the "Place to see the most beautiful sunrise in Vietnam", with bright pink light trails spread and spread on the water wave immense .